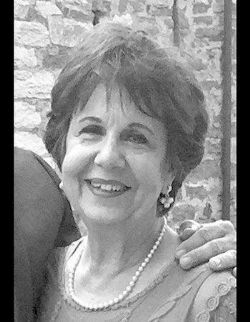 Lois Ann Nelson Murphy, age 73, went to be with the Lord Saturday, March 30th, 2019 at 6:45 a.m., surrounded by her loved ones in her home in Angleton, Texas. She was the dedicated wife of Jack Murphy for 38 years in marriage. Lois Ann was a faithful member of New Beginnings Church since before the church had a permanent building and was held at Grady B. Rasco Middle School. She was devoted to attending Sunday school, Emmaus women’s group on Tuesday, and serving in the kitchen on Wednesday with her church ladies. She found peace in knowing the Lord and being whole with Him after her fight with Alzheimer’s, earning her wings by her devotion to Jesus and owning a 9x13 casserole dish to bring every Wednesday night service. Lois Ann will be remembered for her comforting, loving, devoted, and fighting spirit by all of those she loved. She is survived by her beloved husband of almost 40 years, Jack Murphy of Angleton, Texas; her three children, Clifton and Teena Butler of Brady, Texas, James and Angie Butler of Kaneohe, Hawaii, and Vikki Cheatham Dickey of Lake Jackson, Texas; grandchildren, Jessica Smith of Brazoria, Texas, Jason and Jenna Porter of Reno, Nevada, Clinton and Gio Butler of Lompoc, California, Jackson McIntyre of Roundrock, Texas, Aubrey Butler of Kaneohe, Hawaii, Jordan McIntyre of Industry, Texas, Reid Myers of Brady, Texas, John McIntyre of Angleton, Texas, Rylee Myers of Brady, Texas, Maile Butler and Autumn Butler of Kaneohe, Hawaii; great grandchildren, Taylor and Johnny Porter of Reno, Nevada, Connor and Evan Butler of Lompac, California, and Parker Duffy of Kaneohe, Hawaii. Lois Ann lived a full, beautiful life, but battled Alzheimer’s the last two years before she left her earthly body to be with the Lord. We find comfort in the two scriptures she marked in the first page of her Bible. A scripture marked, “Promise of Heaven” from John 14:1-4 and 2 Corinthians 5:1-5, titled “New Life,” that “we go weary in our present bodies, and we long for the day when we will put on our heavenly bodies like new clothing.” For this is the word of our Lord and we find comfort in her peace. Her memories and legacy will forever be kept alive by us. In lieu of flowers, please make donations to Alzheimer’s Association at www.alz.org.